One of the leaders in big data analytics for the transportation industry, StreetLight Data Inc, has debuted an industry-first system with the ability to measure bicycle and pedestrian traffic, virtually anywhere, in addition to vehicular movement. 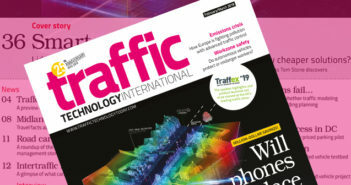 StreetLight has pioneered the use of big data analytics to help transportation professionals solve their biggest problems, such as measuring the impact of traffic management schemes or planning future mobility projects. Applying proprietary machine learning algorithms to over four trillion mobile location data points, the company measures diverse travel patterns and makes them available on demand via InSight, the world’s first software-as-a-service (SaaS) platform for mobility. From identifying sources of congestion to optimizing new infrastructure to planning for autonomous vehicles, StreetLight’s technology is currently powering more than 2,000 projects globally every month. The addition of bike and pedestrian analytics to the company’s InSight platform is the first new product introduction coming out of its Multimodal Measurement Initiative (M2Initiative), an industry working group established to collaborate on the issue of multimodal travel interactions. 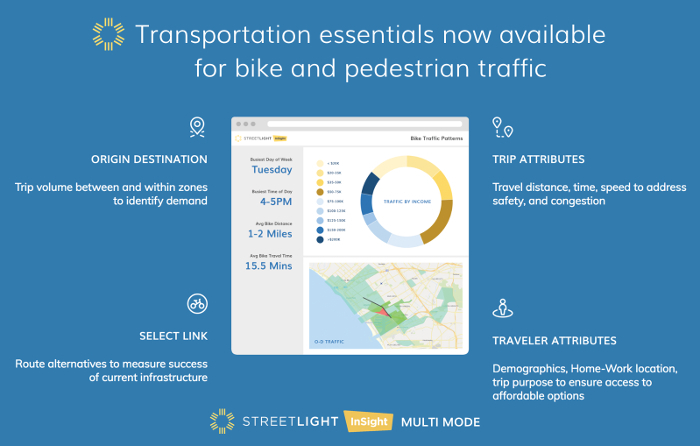 A comprehensive set of bike and pedestrian features is now available as part of the Multi Mode subscription to StreetLight’s core InSight SaaS platform. StreetLight has developed complex proprietary machine learning to differentiate bikes and pedestrians from vehicular traffic, creating a digital dashboard of bicycle and pedestrian activity on roads, bike lanes, sidewalks and even parks. The InSight Multi Mode service allows transportation professionals to analyze and visualize bicycle and pedestrian transportation in any neighborhood, or on any road, in just a few clicks. Professionals can make use of the new metrics to target where investments can boost ‘active transportation’ and measure the impact of decisions from their desktop. 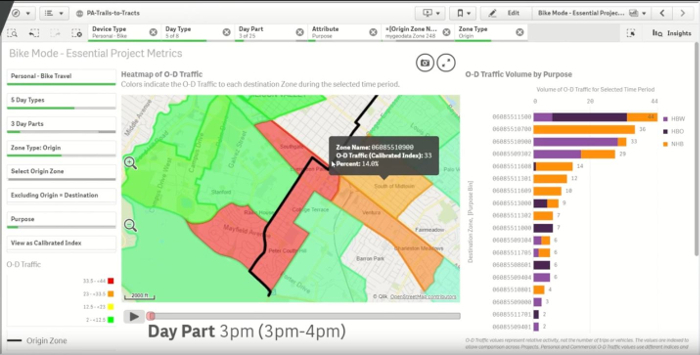 This new functionality enables transportation planners and local, state and national transportation agencies to perform deep analysis and determine key factors such as: Which days and roads have the highest biking volume? What time of day? 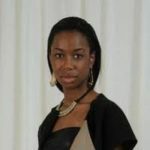 What are common origins-destinations of trips? What is the purpose of the trip? And many other queries about the efficiency of their transport networks.